Block Island is a nice place to get away for a weekend, or for a vacation. beaches are huge with deep white sand. 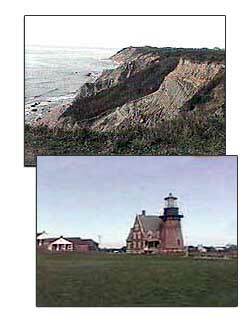 Below is a huge list of Block Island bed and breakfast, Block Island Inns, and Block Island motels. Can you believe they have all these places to stay on this little island called Block Island? We stayed on Block Island for a weekend in a nice Bed and Breakfast and had such a great time. 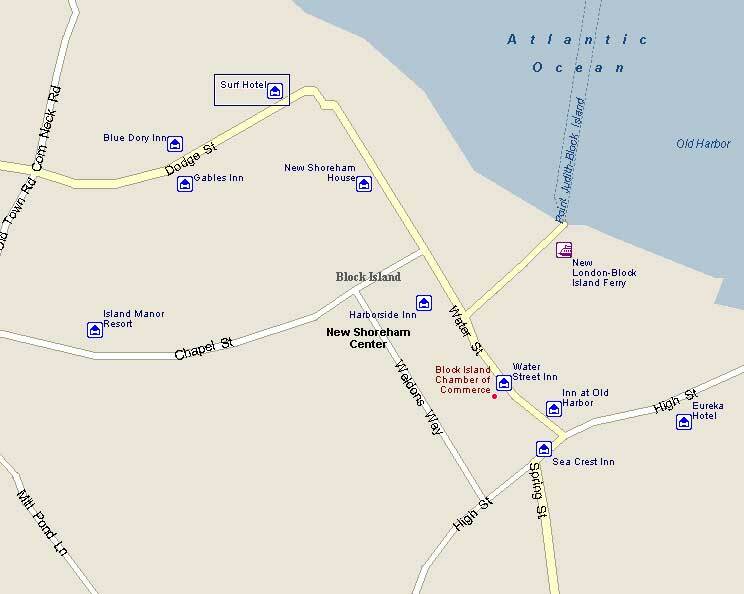 Lodging in bold are on this Block Island map. Most motels and hotels, and Inns are in the downtown area. -Avonlea, Jewel of the Sea - An absolutely serene place to spend your Block Island getaway. -The Bellevue - Overlooking the town and harbor. Beaches, shops, restaurants within easy walking distance. -The 1661 Inn Nine spacious and elegant rooms, feature a combination of ocean views, decks, canopy beds, whirlpool tubs, and gas fireplaces. -Dodge Cottage Located at the bottom of High Street near the Hotel Manisses and is a close walk to town and beaches. -Anchor House Located on Spring Street, just across the street from the Hotel Manisses. -Ocean Avenue Apartments These two one-bedroom apartments are located on the corner of Connecticut Avenue & Ocean Avenue, a convenenient walk to town and beaches.